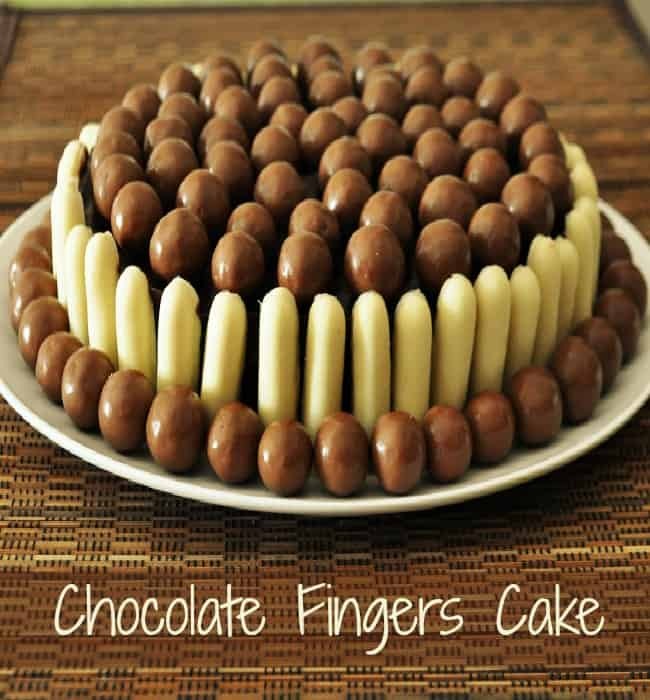 Chocolate Fingers Cake recipe with step by step photos and Video. Easy Birthday Cake recipe that you can make and decorate it under 30 mins. 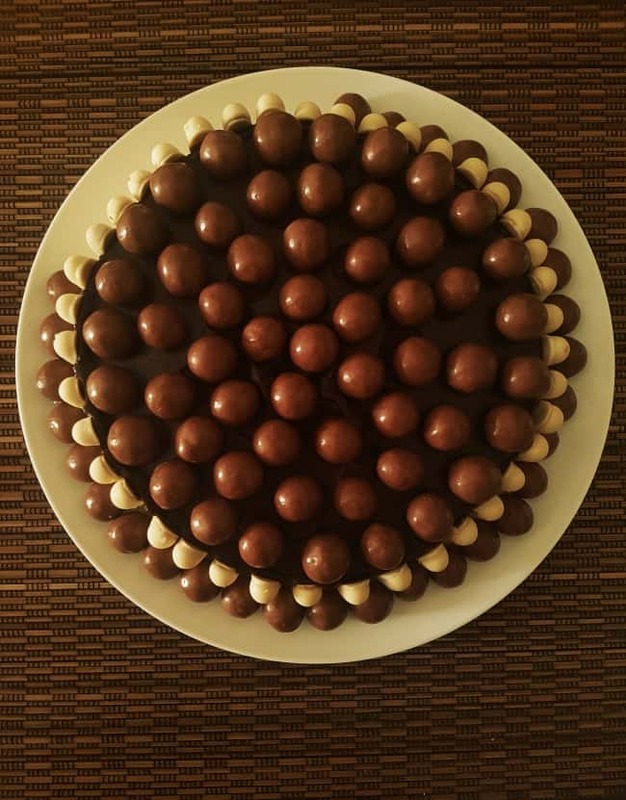 White Chocolate fingers and Maltesers are used for decorating this cake. The Unique Kit Kat cake recipe which I recently shared the recipe is a super duper hit among the quest on my Daughters birthday Party. After that, I made this Chocolaty Chocolate Fingers for a Surprise Birthday Party for my niece. Actually, The recipe is very Basic Chocolate cake and frosted with Chocolate frosting and the chocolate fingers around the cake are simply amazing. I am sure all the kids would love to have it. Dear Disclaimers: Here am sharing the ideas and my experience in cake decorating and not any purpose for selling or bosting any brands. Cadbury’s White Chocolate Fingers which is bought from the store is medium sized ones so I decided to make a single layer of chocolate cake. Plan the what size cake you are going to make and how much chocolate fingers you need everything before you start making it. Use your own creativity to decorate the cake. Here I just shared my thoughts “How to Make Chocolate Fingers Cake” use these ideas to while you make a Birthday Cake. Other than Maltesers you can use chocolate fingers with strawberries, strawberry cake with white chocolate frosting. I Couldn’t able to take full video while making the cake just some shots I took my mobile Hope you will get an idea i how made. If you want to make a vanilla cake recipe try my recipe, I have tried this many times and this recipe never fails.Do check this video you will get an idea how I arranged the Chocolate fingers on the cake. I made a chocolate cake and I have frosted it with chocolate frosting. Arranged the chocolate fingers around the cake. topped the Chocolate Malters on top and the bottom corners as well. The Chocolate fingers cake is ready. The chocolate recipe I have shared the link to the recipe card do check that for making the chocolate cake. Before you make the cake make sure that what deco you are going to make. According to that calculates a number of fingers you need and get it.